Save precious time and money!!! 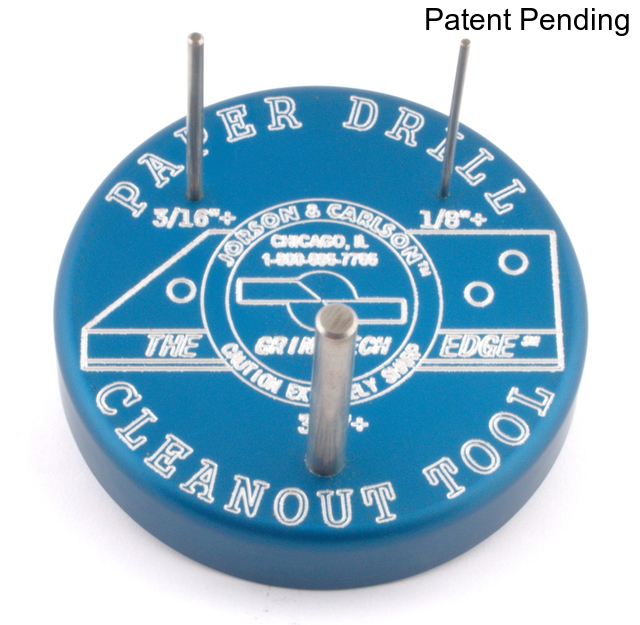 The Jorson & Carlson Paper Drill CLEAN OUT TOOLl was to created to make paper drill cleaning FAST & EASY. 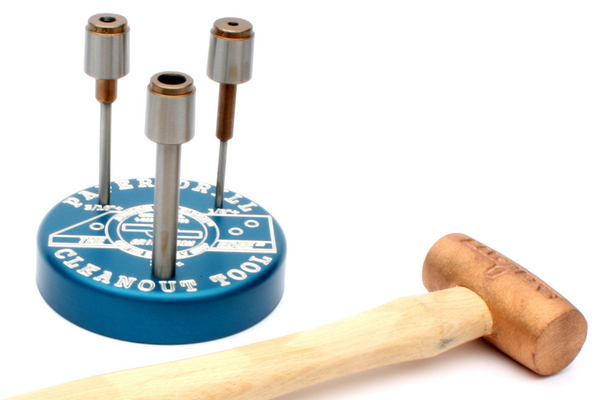 Our unique JC CLEAN OUT TOOL (patent pending) has 3 sizes of posts (1/8, 3/16, 3/8") to accommodate virtually any paper drill diameters. 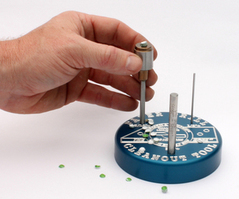 Find the post that best fits your paper drill diameter. 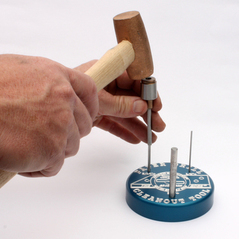 Place the paper drill, bevel side down over the post and tap the shank with the brass hammer supplied. 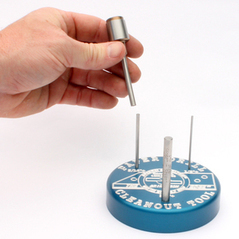 Once the paper chads are unclogged, push the paper drill down and force the remaining chads out through the top of the shank.